Professor Roger Grimshaw is one of Australia's foremost contemporary applied mathematicians. He is also distinguished internationally by his ability to apply exceptional originality and a high level of physical insight to problems of real relevance to oceanography and meteorology. 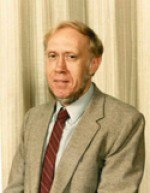 Particularly noteworthy is his recent work on the non-linear dynamics of internal waves, solitary waves, continental shelf waves, and the interaction of internal waves with shear flows, topography, rotation and interfaces. Such waves and their interactions are major contributors to the variability of currents on continental shelves; Grimshaw's skilful analytical treatments provide valuable theoretical insight on these problems, which are conventionally explored using numerical analysis. Grimshaw is also an influential and effective figure in the strongest academic group in Australia engaged in theoretical oceanography.